We would like to extend an opportunity for you to participate in the Colorado Emergency Management Conference: scheduled for February 20, 21 and 22, 2019. 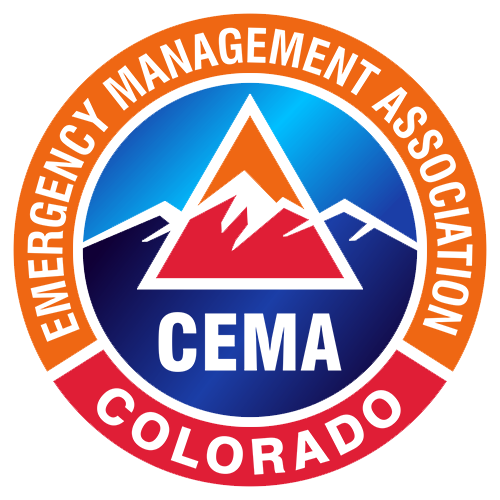 The Colorado Division of Homeland Security and Emergency Management (DHSEM) and the Colorado Emergency Management Association (CEMA), have joined forces with public works, public health and hospitals, schools and universities, fire, law enforcement, local and county government, EMS, community and volunteer organizations and private citizens to develop a comprehensive conference agenda on emergency management. The focus of the conference is to support and encourage the integration of preparedness and response efforts at the community and state levels. The participation and support of our exhibitors and sponsors is critical for a successful conference. ❖ Improved traffic flows into exhibitor area. There will be a gap in the air wall between the main conference room and the exhibitor room. This will allow conference attendees to pass through the exhibitor room on their way to the break-out rooms. ❖ Parking lot space at curbside, immediately outside conference area, for display of vehicles, tents, etc. As a conference exhibitor and sponsor, your company will be marketed through printed materials and other marketing opportunities (see Sponsorship Opportunities below). Attendees of the conference are seeking to increase their knowledge and skills and to view new products and resources that will assist them in their jobs. You will have the opportunity to network with all of the attendees from a wide array of professions and expertise. Exhibitors can also reach conference attendees by participating in the CEMA Scholarship Auction. By making a tangible donation to the auction, exhibitors have another opportunity to display company logos and sales materials as well as supporting the conference scholarship program. The Embassy Suites Loveland is located at 4705 Clydesdale Parkway, Loveland, CO 80538, with easy access to Interstate 25. The hotel features the John Q. Hammond Conference Center, and a variety of comfortable suites and rooms. Amenities include a full-service business center, swimming pool, hot tub, and a complimentary evening reception sponsored by the hotel. The hotel is only 50 minutes from Denver International Airport. ➢ Exhibitor Space - Each space includes a six-foot skirted table and 2 chairs in the River Birch “A”, “B” and “C” rooms – a prime area of the conference. ➢ Exhibitor Lodging - Exhibitors are responsible for their own lodging arrangements, including making reservations. ➢ Additional Services - Exhibitors can arrange for additional services (larger tables, electrical, phone, internet, business services) by contacting the hotel directly. Shipping services are also available. Arrangements for these services can be made directly with the hotel by contacting Stephanie Scharfenberg (stephanie.scharfenberg@atriumhospitality.com) or (970) 593-6200.